Chocolate cake that’s actually good for you? You are not dreaming! 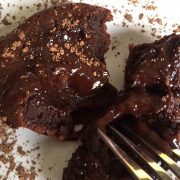 This epic chocolate mug cake is gluten-free, refined sugar free and also full of protein! 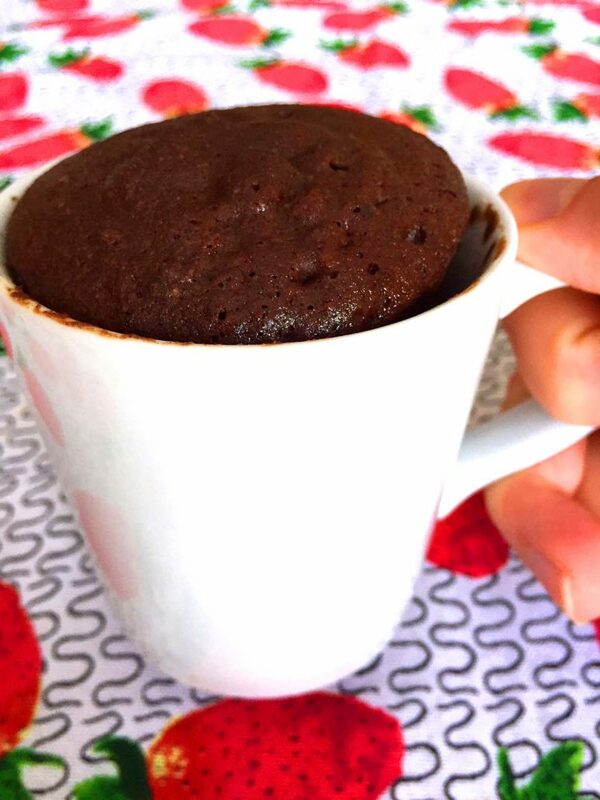 It is packed with vitamins and anti-oxidants from almond flour and unsweetened cocoa powder, so you are doing your body a favor by feeding it with this paleo chocolate mug cake! 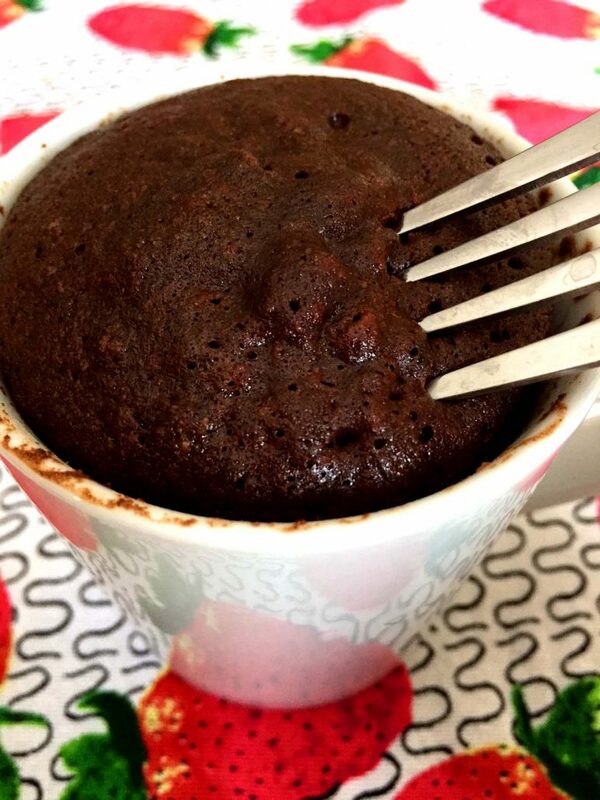 This gluten-free chocolate mug cake makes an excellent breakfast. 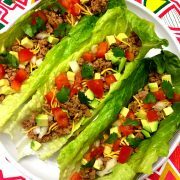 Because it’s made with almond flour, it is so full of protein that it makes you stuffed! 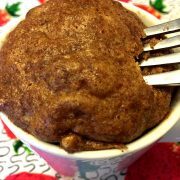 This paleo mug cake will definitely keep you full until lunch! Can you imagine how good this luscious chocolate cake tastes with a cup of strong coffee? Mmmmmmmmm! 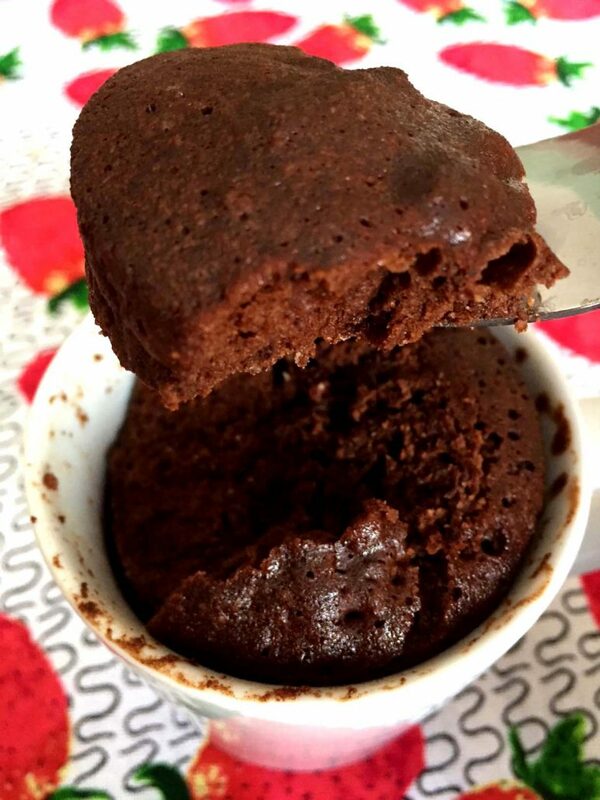 Making a single serving chocolate mug cake takes just 2 minutes – 1 minute for mixing the ingredients in a mug and another minute for cooking the mug cake in a microwave! Can you spare 2 minutes to treat yourself to this amazing dessert? Got that spontaneous chocolate craving? Mug cake to the rescue! 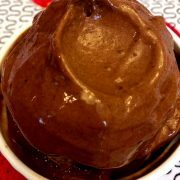 This paleo chocolate mug cake recipe makes a perfect one serving – just for you! 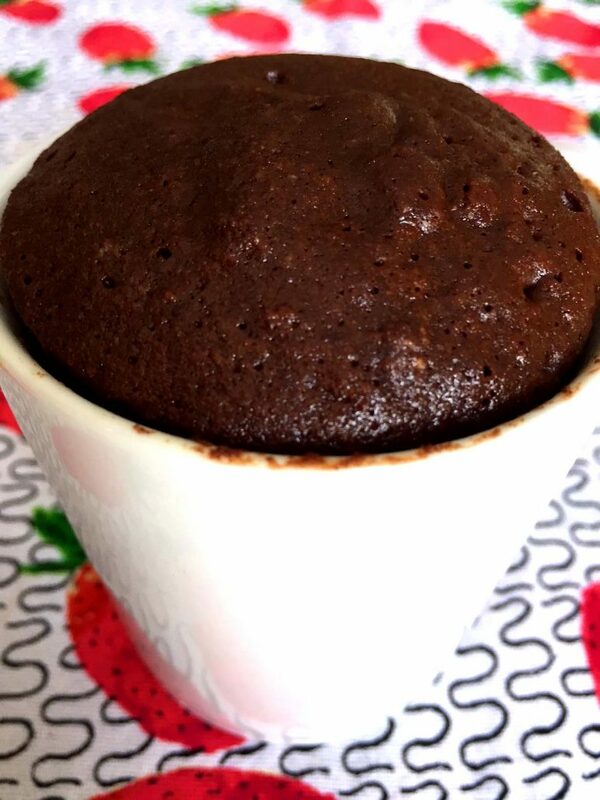 If someone see you having this epic mug cake, they will beg you to make one for them as well! 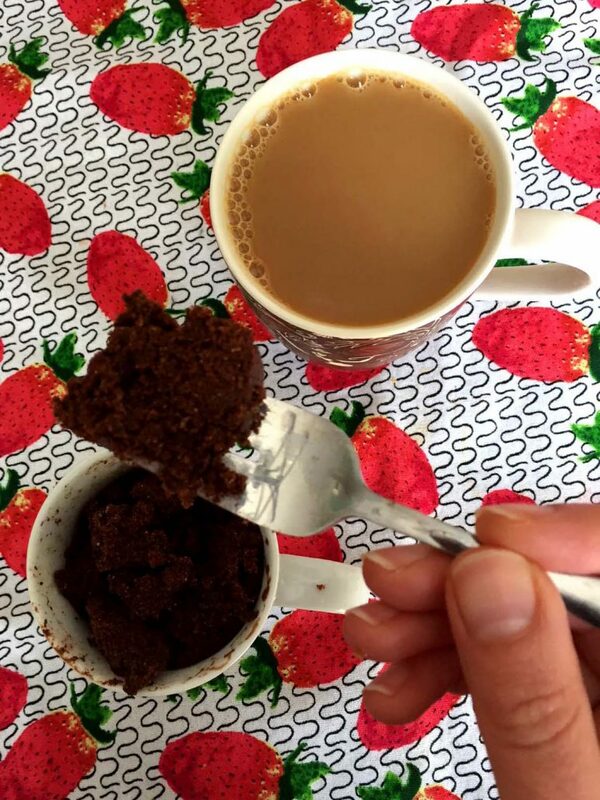 Making this gluten-free paleo chocolate mug cake is super easy. Just mix 4 tbsp almond flour, 2 tbsp cocoa powder, 2 tbsp maple syrup, 1 tbsp milk, 1 tsp coconut oil, 1 tsp vanilla and 1 egg in a mug, then microwave that mug for 1 minute. Then dig in and feast on this amazing chocolate goodness that also happens to be healthy! Keto Bread In A Mug – if you are avoiding gluten and cutting carbs, this is the only carbless bread recipe you’ll ever need! Tastes like real bread! Flourless Gluten-Free Chocolate Cake – this is my go-to holiday dessert for gluten-free friends! So rich, chocolaty and delicious! 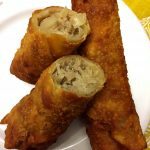 Crispy Microwave Bacon – if you can make a cake in a microwave, you can also cook an awesome crispy bacon in a microwave as well! Microwave Green Beans – another healthy and yummy microwave side dish, great for meal prep! Paleo Coconut Chocolate Truffles – only healthy ingredients, naturally sweetened with dates, these truffles are actually good for you! 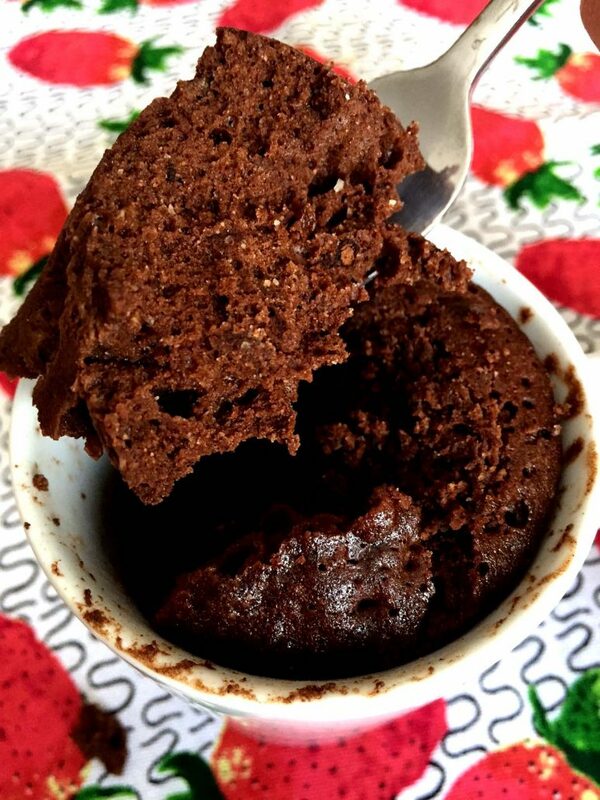 This paleo chocolate mug cake tastes so amazing, it's hard to believe it's healthy! Truly epic! It's high in protein, gluten-free and free of refined sugar! You can eat it for healthy breakfast every day! Put all ingredients in a mug and mix with a fork until combined. Put the mug in a microwave and cook on High for 1 minute. 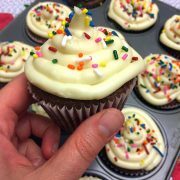 Easy Chocolate Cupcakes Recipe - Makes 12 Cupcakes - Best Ever! Hi Melanie, does this recipe not use baking soda. I’ve tried the keto bread recipe and its delicious! 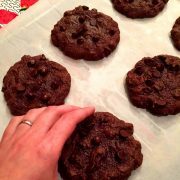 Yes, there is no baking soda in this recipe. 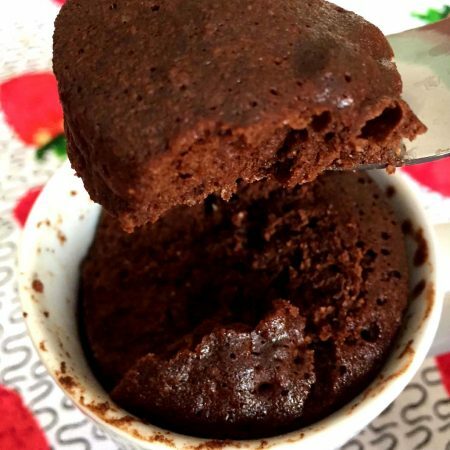 This chocolate mug cake rises well without baking soda. Yes, a squirt of liquid Stevia! 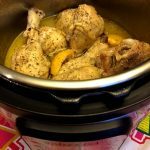 This recipe was awesome!! Took less than 10 minutes from start to finish and my girls and I enjoyed our healthy dessert. Ran out of maple syrup so had to add some honey and it worked out just fine. 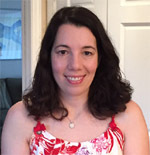 Thank you SO much..
Hi Melanie, can I bake it in the oven as i do not have a microwave oven. Thanks. 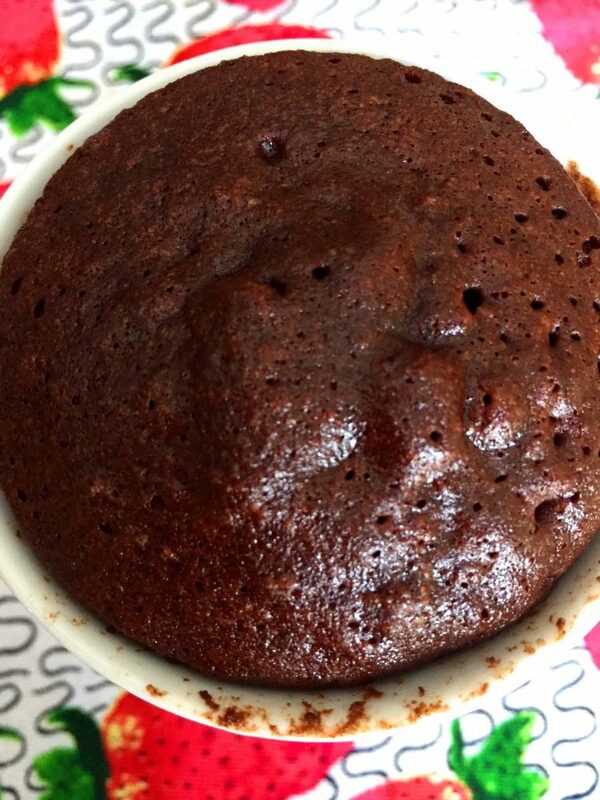 Yes, you can bake it in the oven-safe mug or ramekin at 350F for 20 minutes.